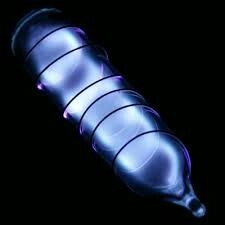 This element is a noble gas . It's period number is 5. It's group number is 8. It's a metalloid. 1- used in flash lights. 2- used in photographic flash lamps. 3- used in color lights. 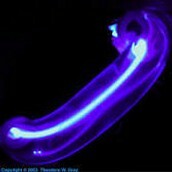 This is a light xenon is used in. 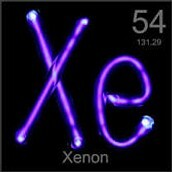 This is a gas tube xenon is used in to conduct an experiment. This is a colored flash light stick.